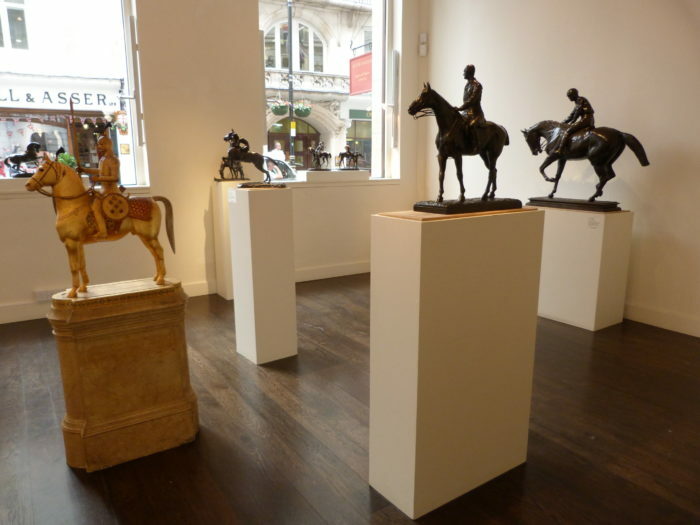 The Sladmore Gallery has gathered together the best of equestrian sculpture spanning a century. 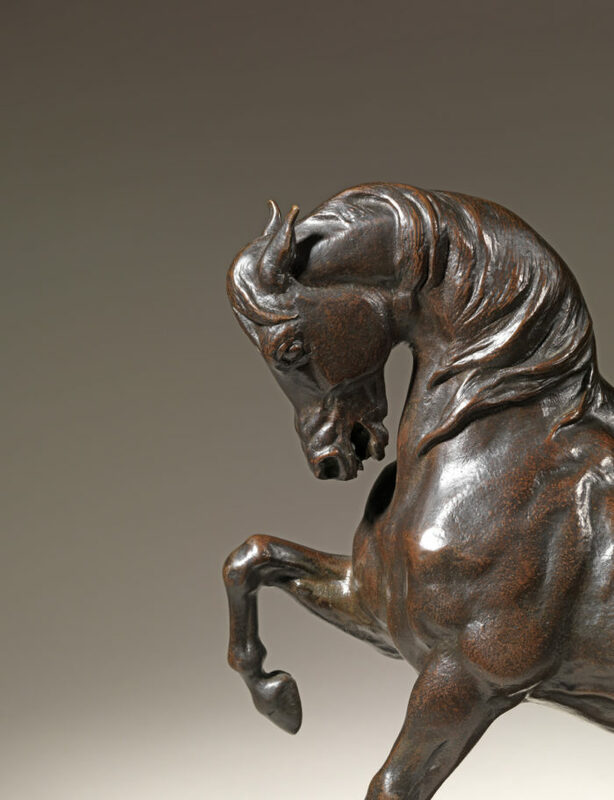 On show, will be Antoine-Louis Barye’s Turkish Horse, one of the quintessential statements of Romanticism – a definitive image of the horse in Western art. 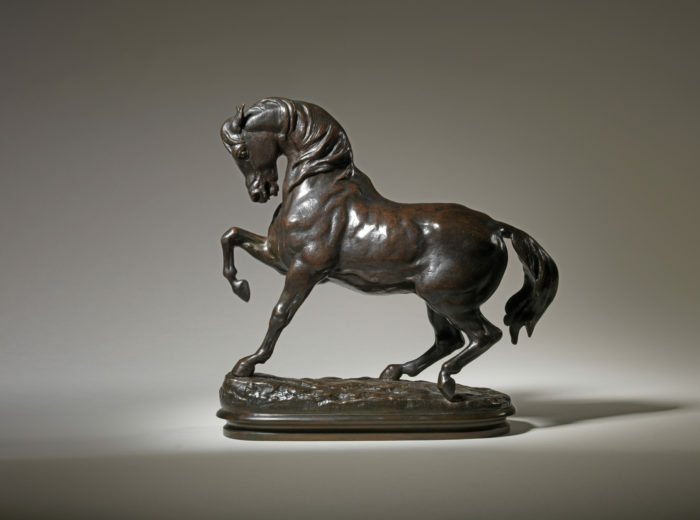 It is one of Barye’s great masterpieces. 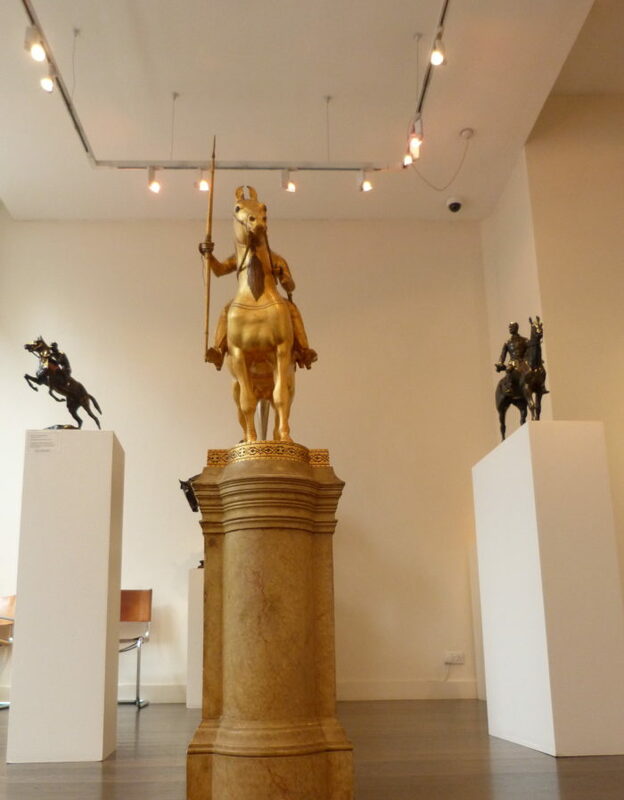 It has its origins in the horses of classical sculpture such as the Parthenon Frieze and in great Italian Renaissance equestrian works by sculptors such as Cellini and Verrocchio. 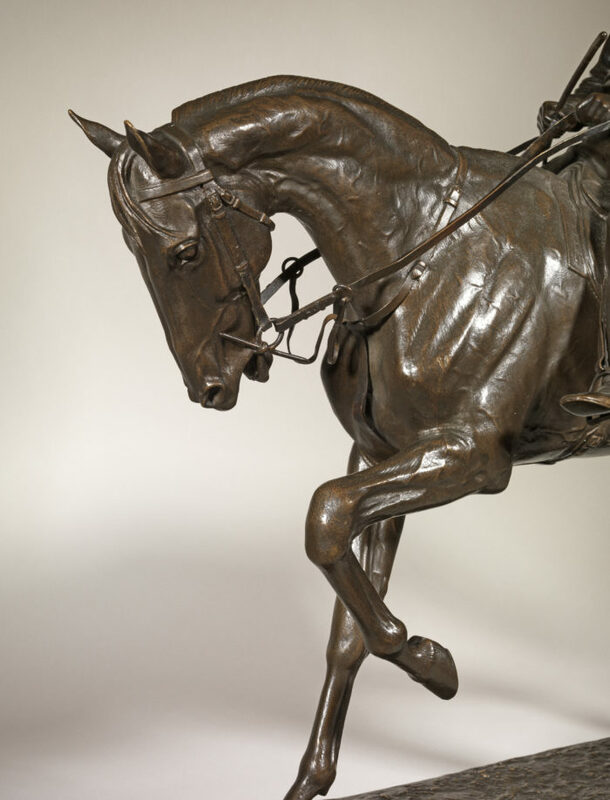 It resonates profoundly with other great nineteenth-century depictions of the horse, such as in paintings by Delacroix, Stubbs and Gericault. 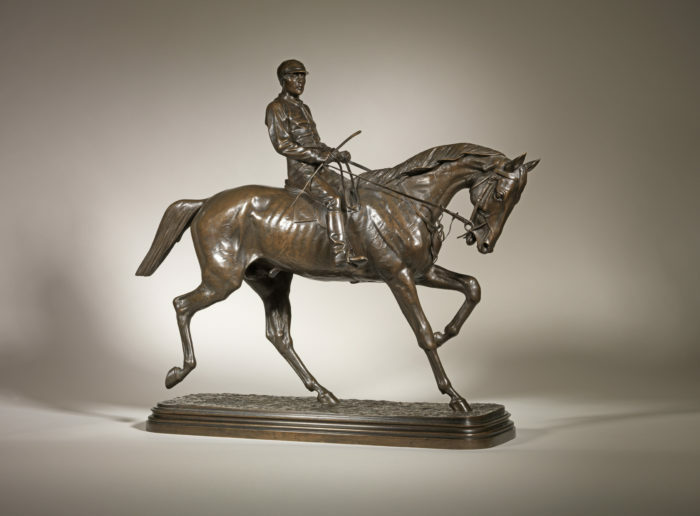 The relationship between man and animal is represented through, amongst others, the large version of Isidore Bonheur’s Horse and Jockey, After the Race – one of the finest racing bronzes of the nineteenth century, epitomizing the highly decorative style that was the hallmark of the 19th century ‘Animalier’ movement. This model exists in three sizes and the best quality casts were edited by Peyrol. 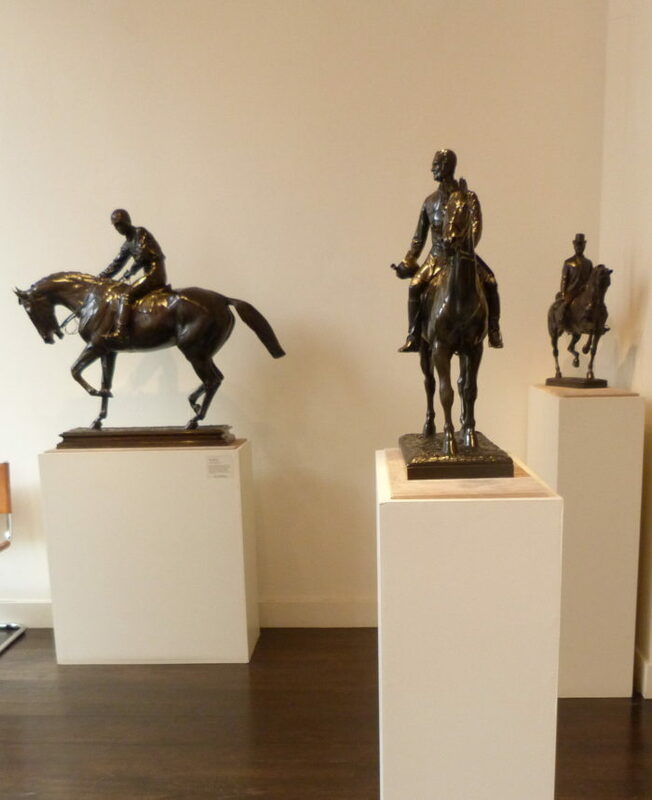 By this stage in his career Bonheur’s modelling skill was automatic, leaving him free to concentrate on the harder task of imbuing the work with the atmosphere of the racecourse.